The BMC Racing team has unveiled its racing program for the 2017 season. The American team will be active in all important rraces and has even chosen to participate in the majority of events on the new WorldTour calendar. Jim Ochowicz's riders will only skip the Tour of Turkey in April, just like LottoNL-Jumbo. 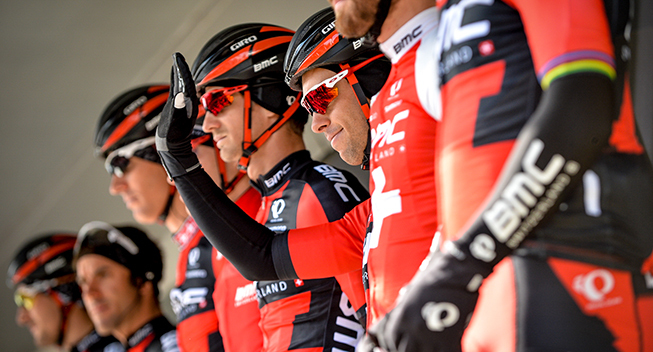 BMC will also be present on the North American continent at the Tours of Califonia, Utah, Colorado and Virginia. Interestingly, the Volta a la Comunitat Valenciana is on the program for Greg Van Avermaet and his team. After the cancellation of the Tour of Qatar, the staff announced that they wanted to go to the Spanish race instead. The organizer has not yet given the approval offically but seems to have accepted the team. The Olympic champion should therefore make his return to racing in Valencia.